How long do you need to properly test a new bike? And what roads do you need to ride on to get a proper sense of how good it is? Well, at the Eurobike test day - a trade event in Germany for cycling hacks and bike shop owners - you get around 10km to 15km of riding on relatively flat roads (cycling through beautiful apple orchards) and a tiny amount of climbing around a prosperous suburb of Friedrichshafen, which gives you perhaps 150 meters of uphill to test a bike. In other words, not very much. However in that short space of time I fell in love with the Colnago C60. I rode seven very expensive bikes in my day of testing and some of them were substantially more expensive than the C60. But a week later only one of those bikes sticks in my mind and makes me wish that I owned it (and I've test ridden three more bikes in the last week too). What was so great about the Colnago C60? It felt instantly 'right'. It was not the lightest bike I have ever ridden but the weight did not seem to matter. It had that correct balance between being responsive and being balanced enough so that each tiny motion did not lead to a sudden twitch in the bike's motion. Acceleration was impressive as the C60 responded beautifully and smoothly to my efforts. The test C60 I rode was equipped with Campagnolo Athena II EPS electronic shifting and Cosmic wheels, so I was definitely riding a pretty good set up. I rode the 52S version (the S is for sloping), which is actually the equivalent of a normal Colnago 56cm but has a slightly confusing naming convention. 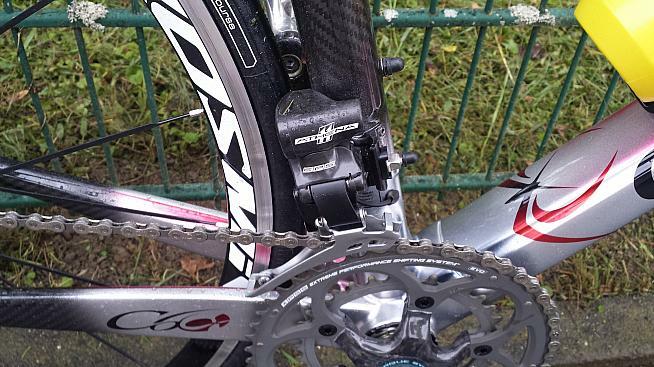 Electronic shifting with the Campagnolo Athena II EPS. 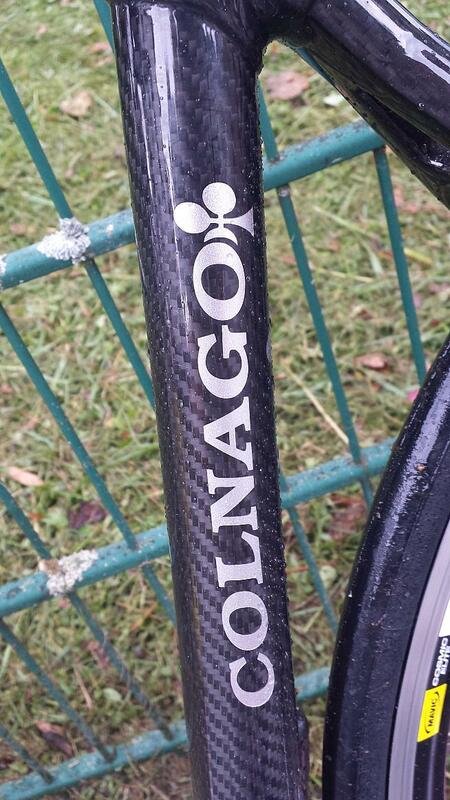 Aesthetically it is perhaps not the most pretty of Colnago's offerings. The lugwork in particular looks a bit industrial and for a bike at the top end of the pricing bracket the C60 does not draw the eye in the same way as other bikes. 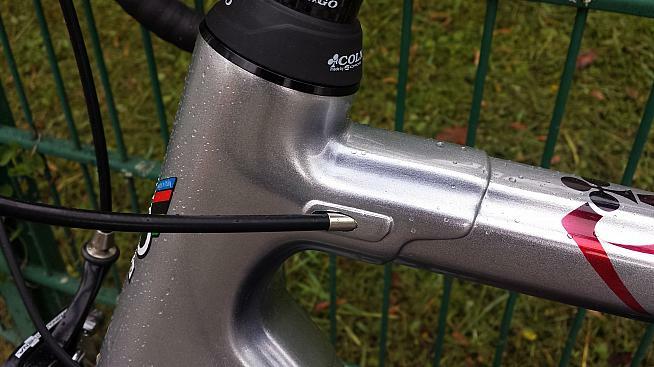 Lugwork from the Colnago C60. I wasn't a big fan of the paintwork on the C60 test bike I rode and I was far from alone as several people told me they thought it looked ugly for a frame that is so expensive. But aesthetics are obviously a highly personal thing and clearly Colnago's production team are extremely proud of what they have managed to do with carbon, especially in terms of the lugs. The paintwork had mixed reviews among riders at the Eurobike show. 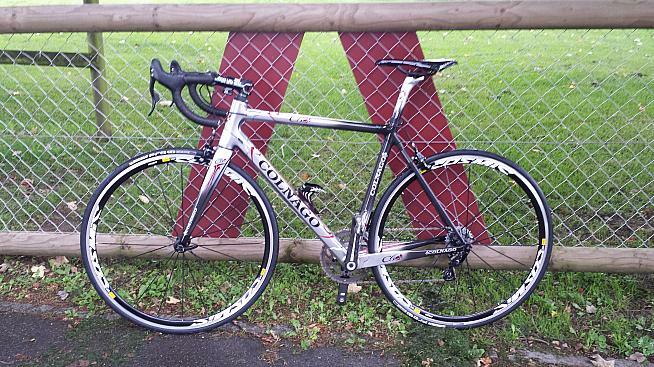 On a club ride last week I told a couple of people about my new fondness for the Colnago C60. One of them had actually taken delivery of a special edition C60 in June and has spent $20,000 on it (they had got a discount for buying five together and also had their own special paintwork for the five bikes) before he was offered $23,200 three days later for it and had sold it before even riding it once. He was slightly regretting the sale but the $3,200 profit had made up for his sadness. The other person, who was riding a C50, told me that he would never buy another Colnago. He had terrible issues with peeling paintwork on his C50, had sent it back to Italy for it to be re-worked on and then they had sent it back with a shoddy repair job and he had to return it again. He conceded that it was a fantastic bike to ride but that he thought the company was overly trading on its reputation and not looking after its quality control as much as they should. Despite this, I definitely crave a C60 of my own. Clearly I can't afford to indulge my longing but perhaps when the C61 is launched (or even the C70) then the price will drop to a manageable level and I will be able to sate my desires.